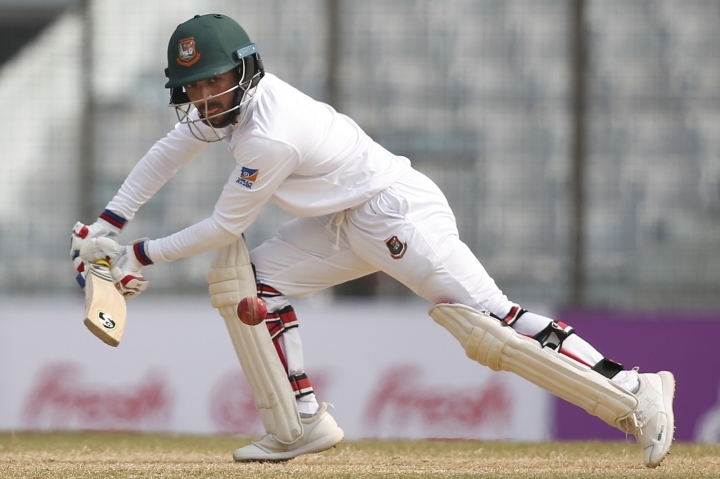 CHITTAGONG, Bangladesh — Mominul Haque became the first Bangladesh player to score centuries in both innings of a test as the home side staged a valiant rearguard action to draw the first match of the series against Sri Lanka Sunday. 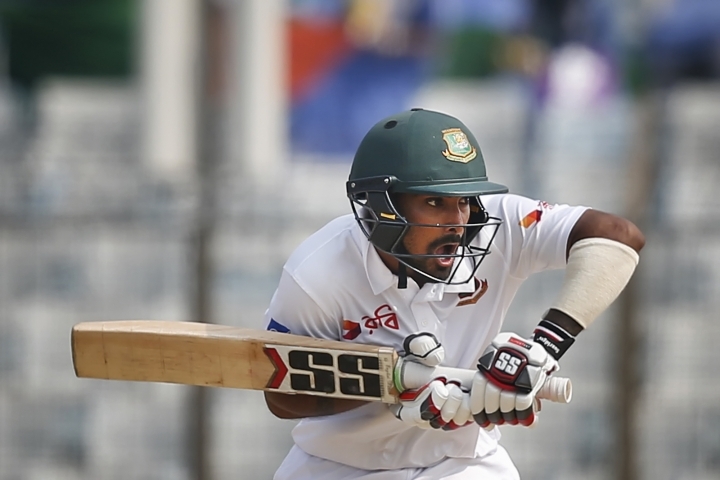 Bangladesh were 307-5 on the fifth and final day when both captains called a halt to proceedings 45 minutes after tea. 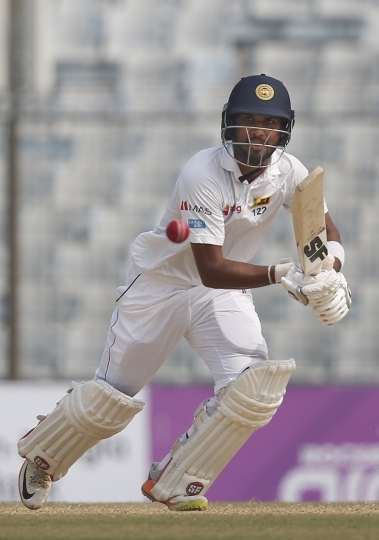 Mominul followed his 176 in the first innings with 105 in the second before he was well caught at slip by Dimuth Karunaratne off the bowling of Dhananjaya De Silva. He hit five fours and two sixes in his 174-ball knock. "I would keep the second one ahead of the first because it helped save the match," Mominul said. "Liton (Das) and I took it session by session, hour by hour. We didn't consider batting the whole day, which would have been tough to plan. "You have to be mentally strong and believe in yourself. I think that has come from everyone in the team, including the management. The captain (Mahmudullah) told me that we shouldn't have any doubt that we could save this game." Resuming on 81-3, still trailing by 119 runs after Sri Lanka had amassed 713-9 declared in their first innings, Mominul and Das put on 180 for the fourth wicket to frustrate the touring team. Mominul was first to go before left-arm spinner Rangana Herath removed Das for 94 but, overall, Sri Lanka received little assistance from the pitch on the final day. "I don't think this is a good wicket for test cricket," Sri Lanka opener Dimuth Karunaratne said. "I think there needs to be something for the bowlers as well. I am hopeful we will get a 50-50 wicket in the next test. "Normally on the sub-continent there is some turn on the fourth and fifth day. Here there wasn't much turn or bounce." 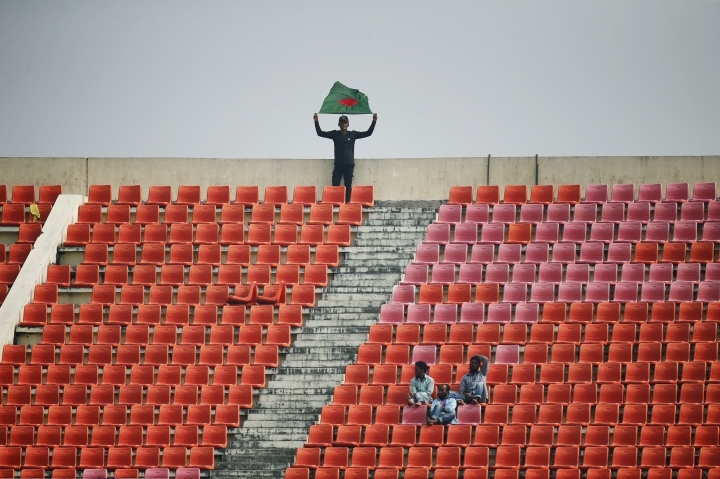 Mahmudullah, who was 28 not out when the game ended with Mosaddek Hossain unbeaten on eight at the other end, held a different view. "I don't know how he said it wasn't a good wicket for test cricket," he said. "I think we have to ask him what type of wicket he wants. "The batsmen from both sides dominated the game. The run-rate was quite good. I think it was a good wicket." 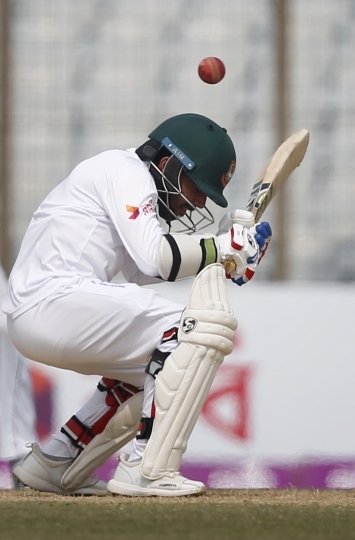 Bangladesh had been bowled out for 513 in their first innings.